Karla is please to share the release of her debut album Hide and Seek with you! You can learn about the songs, download lyrics and chords, hear the music, and download her music or request a CD all on this site!! Karla wrote all the songs and played the instruments on this CD. Take a few moments to explore this simple, peaceful album. Click on a song below to listen to it and learn more about it. Hide and Seek was written to reflect the struggle that sometimes God seems to be hiding from us, and sometimes we feel too weak to truly search Him out. The song ends by recognizing that God is the one who will find us if we open our eyes to His goodness. Karla wrote It's My Right while living in Montana in 2003. At the time, she was working at a domestic and sexual violence center. Karla found that the organization promoted and fought for the rights of women, while ignoring the rights of unborn children, which inspired her to write this song to highlight the rights of all those involved when abortion comes into play. Karla wrote Darkness and Silence while living in Montana in 2003. Living so far away from her family but half a block away from the church, Karla spent many hours visiting Jesus in the church and playing songs for Him. At one point it struck her sadly how few people came to visit Jesus while He waited there day after day - and Darkness and Silence was born. In her professional life, Karla works with victims of crime in felony cases. As such she is exposed to some terrible things that people can do to one another. This song was written out of that confusion of not understanding how people can be so cruel to one another and recognizing that there are angels among us. This song represents a refusal to give in to the bad news that we are inundated with on a daily basis. We know the end of the story and Christ wins! This song acknowledges that for some people sometimes, there is little to nothing that we can do help them. They wait, hope, and pray for the Lord Himself to help them. While in college, Karla wanted to write a song about God's mercy. As she sat at the piano, a song about the crucifixion is what she ended up with. At first she thought she had missed the mark for a song about mercy, but then realized that Jesus dying for all of us is the ultimate merciful act that God could ever do for His people. Looking back on her songs and realizing that many of her songs seemed a bit serious, Karla wanted to write an uplifting song praising God that would be easy for others to sing along with! Everyone feels that spiritual dryness now and then where you aren't feeling as on fire for God like you once had been. Find out when new music is released! Sign up for our e-mail list! 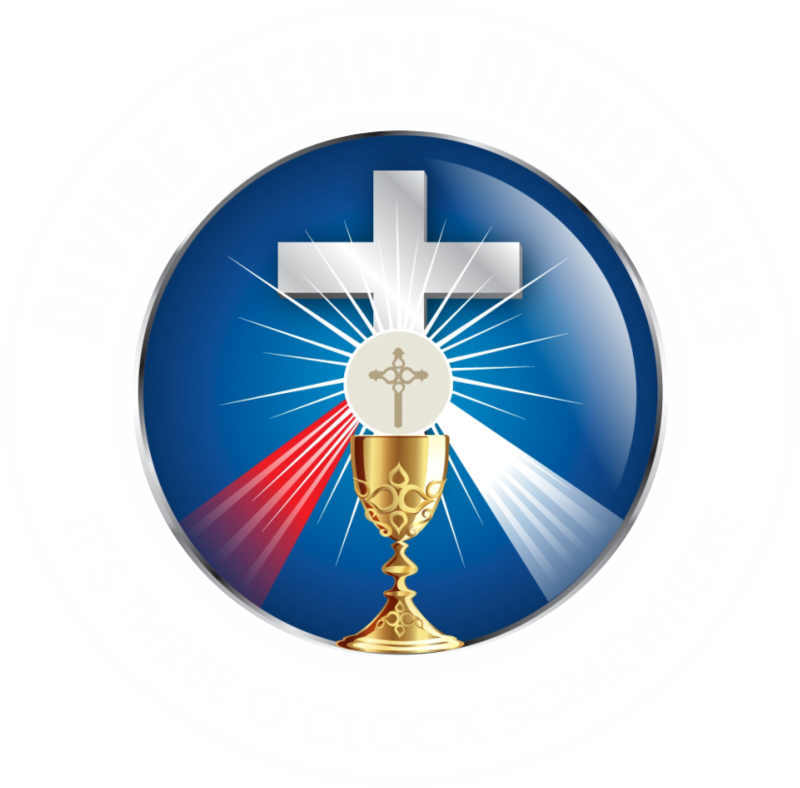 Click here to listen to a sung version of the Divine Mercy Chaplet!